Gridscale for SQL Server is Xkoto Inc.'s database virtualization product that manages multiple, active-active database copies running on the network. 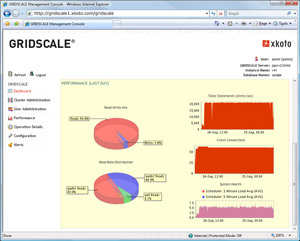 Figure 1: A screenshot of Gridscale for SQL Server. Delivers continuous (24/7) availability for critical applications. Eliminates the complexity and waste associated with active-passive databases, failover systems and synchronous data replications. Lets DBAs provision databases as needed. System requirements: Works with a range of hardware platforms. Supports the following OSes: Red Hat Enterprise Linux, Windows Server, SUSE Linux Enterprise Server, Sun Solaris and IBM AIX. Also supports Workgroup and SQL Server SE and EE. Pricing: Production licensing is based on the number of underlying SQL Server processors in a Gridscale cluster. Costs start at $8,500 per database server processor; $7,500 for enterprise-wide non-production use.